the SHA256 or SHA512 files (checksum). 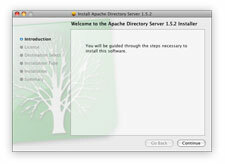 Click on the link above to download ApacheDS for Mac OS X. Your download appears in the download manager of your web browser. Double-click on the disk image to open it. It may have already been opened by your web browser. 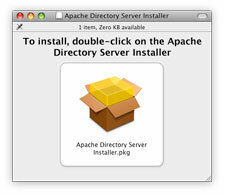 Double-click on the Apache Directory Server Installer.pkg file to open the installer. 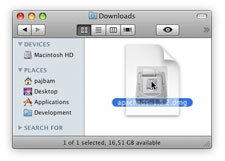 Mac OS X version 10.4 (Tiger) or later. a Java Runtime Environment 6 or later. Alternatively, you can verify the checksums of the files (see the How to verify downloaded files page).